Think you have seen it all while diving? 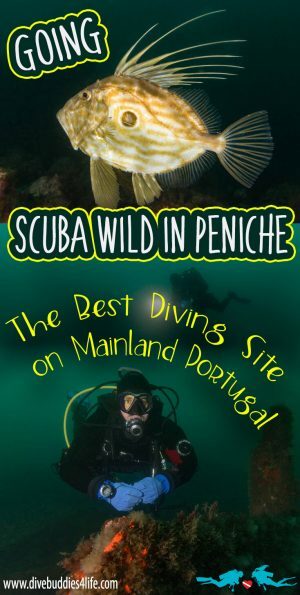 Peniche is a true frontier for divers who want to experience the finest cold water diving on mainland Portugal. Peniche is a watersport hideaway that’s far from your cookie-cutter type destination. 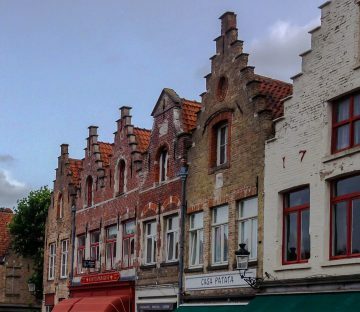 This seaside municipality is built on a rocky peninsula, which back before the 16th century, used to be an island. Now, Peniche is surrounded by sandy beaches, consistent winds and high surf breaks making it one of the best places for adrenaline enthusiasts to enjoy surfing, windsurfing, scuba diving, and kiteboarding. 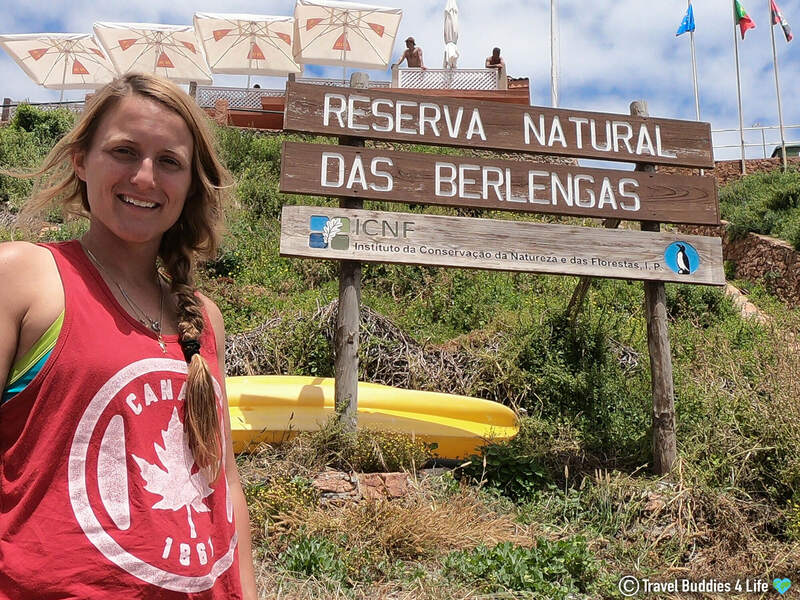 In addition to being a big-time destination for sports that take place on the water, Peniche is also a very culturally inclined place. About 10-15 kilometers west of Peniche are a handful of secluded islands called the Reserva Natural das Berlengas. This island archipelago is a UNESCO nature reserve with only the main island, Berlenga Grande, having inhabitants. Over the many years of its existence, Berlengas has seen some very colorful visitors. Vikings, pirates, monks, privateers and even Portuguese royalty have visited this islands shores. 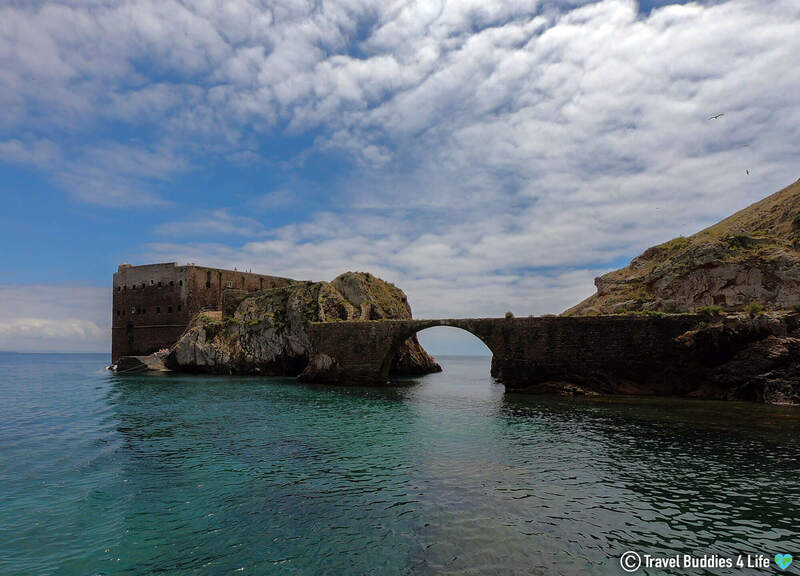 As proof of its historic past, one of the islands biggest draws is the fort of São João Baptista das Berlengas, a castle built in 1502 for military and island fortification. In truth, there is really only one spot to dive off the coast of Peniche, and that is around the Berlengas Islands. The UNESCO reserve offers some of the most transparent and beautiful diving conditions from the mainland. Top that off with the fact that this island is in a location where Mediterranean sea combines with Atlantic ocean, and you’ve got yourself a recipe for success. 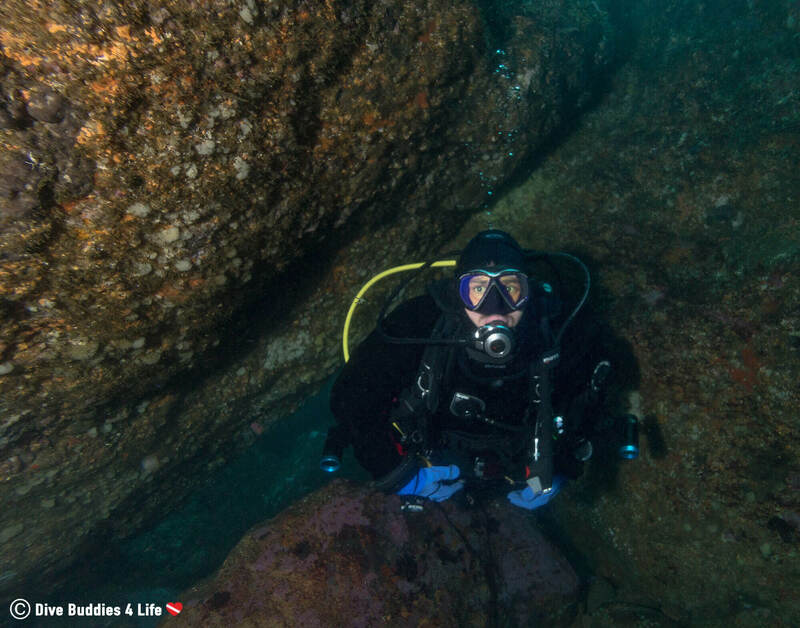 There are over 60 different dive sites around Berlengas. Most are suitable for recreational divers. 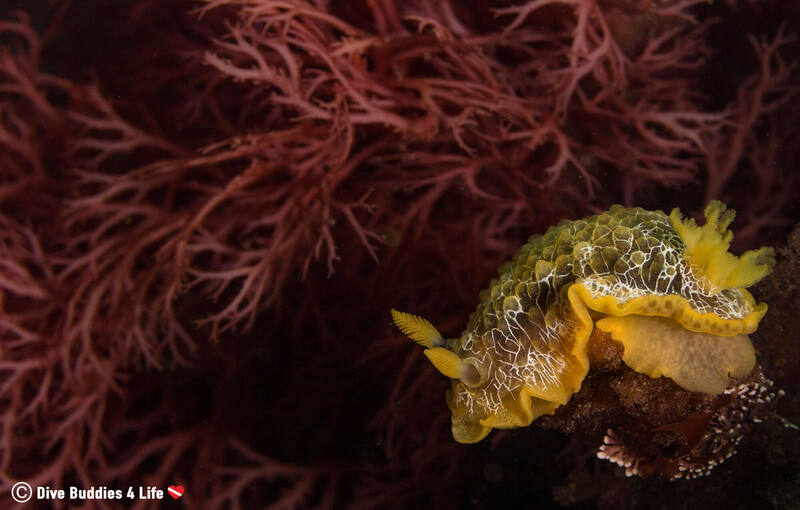 Some of the dive sites are wreck dives, some are walls dives, and some are merely shallow landscapes that offer countless opportunities to see some strange yet incredible animals. 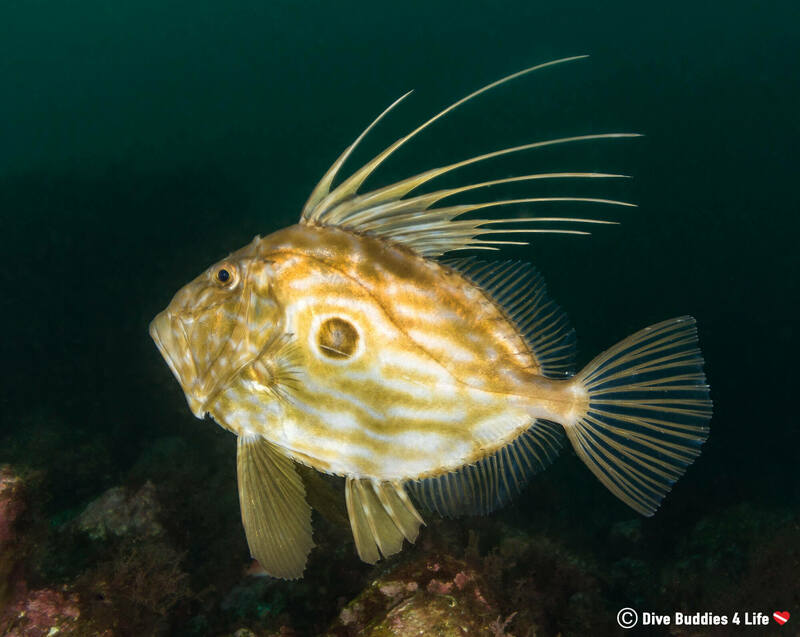 When the time came for our two-day scuba adventure in Peniche, Portugal, the dive shop we decided to use was our familiar favorites Haliotis. We had used this same company while diving in Sesimbra and were delighted with the way they ran their shop and dive excursions. In spite of being tourists to the area, the Haliotis Peniche dive center was easy enough to locate. We found it right off the main road which runs out onto the Peniche peninsula. The shop had ample parking, spacious facilities and male/female locker rooms (with hot showers!!!). Following the tedious but necessary housekeeping items (filling out waivers, showing cert cards, organizing equipment…) we were shuttled via van down to the docks where we would load and prepare our dive kits. To get from Peniche to the largest and main Berlengas island, it took us about 30 minutes by zodiac. On the boat ride, we had the opportunity to sit, back relax and keep our eyes open for potential dolphin sightings. The closer we progressed towards Berlengas, the bluer the ocean seemed to become. As we neared land, I watched as the zig-zagging coast seemed to materialize from the sea. Our first day of diving in Berlengas we indulged in some advanced dives; one to an 18 meter/60-foot underwater shipwreck and one around some cascading wall-like boulders. 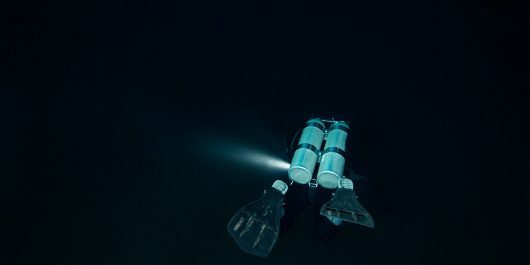 While I love diving with a group, as a photographer who is slow like molasses, I love even more to be just the two of us deciding where we want to go, how long we want to stay and how fast we want to dive. We were pleased that, given our certification level and desire to photograph, the captain let us roll into the water first and do our own thing. From the initial moment, when we descended the anchor line, Berlengas hit us with the WOW factor. Right off the bat, I snapped my first ever picture of the elusive, camera shy John Dory. This spiky looking fish was about the size of a large dinner plate and had me gasping into my regulator. Sponges and plant life seemed to have flourished on everything underwater. Little fish darted here and there with no rhyme or reason. It was a cold and beautiful place! As I swam, I noticed a few pink and orange anemones dotting the marinescape around me. Their flower-like shapes and vibrant colors so alien I could hardly believe that they were indeed animals and not plants. My favorite moment of the day, aside from seeing my first John Dory, was finding a very curious octopus on the shipwreck. This octopus was so curious that he had no problem boldly coming up to me as I took his picture and plunking his suckers down on my dive fins. He seemed pretty content on being my mermaid sidekick forever, and if I could have stayed underwater forever, I would have certainly let him. All in all, aside from the slightly green hue that all the marine life adopted, it was a brilliant day of diving on Berlengas. But even with the green, I think it makes everything look much more dramatic, don’t you? Day two of diving Berlengas began very much the same as our first day, we checked in, got shuttled to the dock and prepared our gear. We arrived at Berlangas primed and ready to dive. 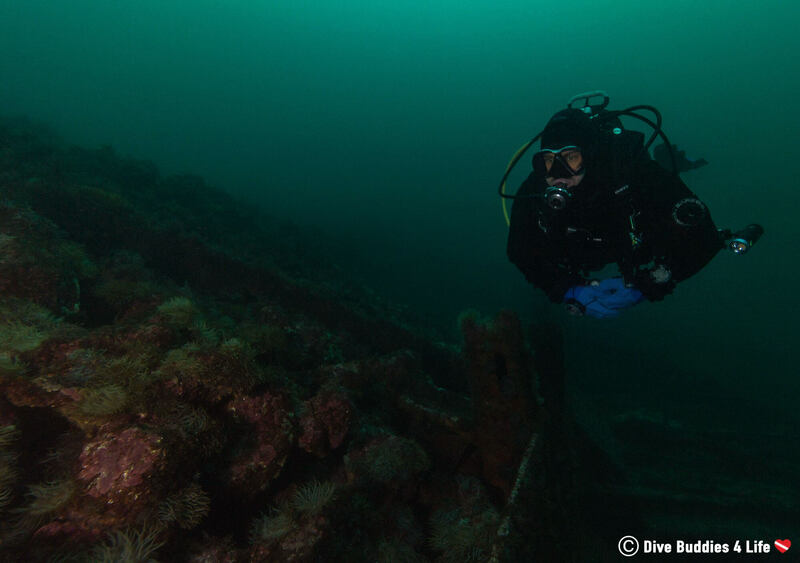 Because of the lesser experienced divers on the boat and a couple of discover scuba divers, the dive sites on the plan were a little shallower (all less than nine meters/30-feet of water) and in sheltered bays. As we dropped into the cold water, I could instantly see that the visibility today would be magnificent, which was good because today I needed Joey to swim ahead and be my macro spotter. 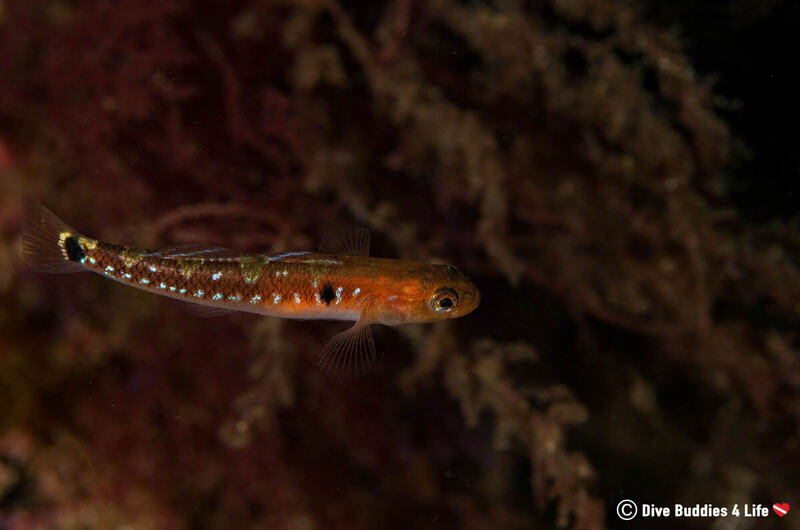 My mission – to find and photograph all the small and colorful marine life. It took a while to train our eyes for hunting out small creatures, but once we started and glimpsed our first few small fry, we were well on our way. Snail here, anemone there, and blennies everywhere. There was such life, such color! And then came my favorites little things. They were a force to be reckoned with and came in all different shapes, sizes, and colors. 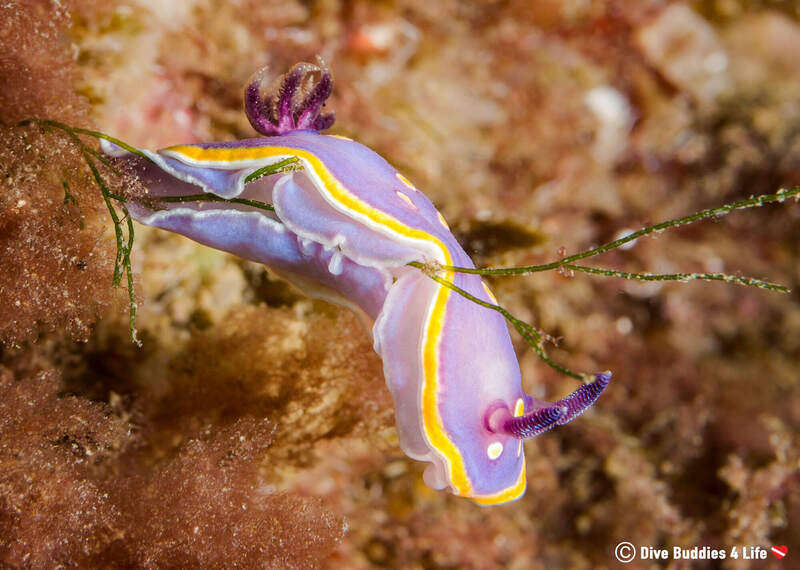 A bright purple nudibranch with yellow polka dots that looked like it jumped out of a Pokemon cartoon. A pair of blue and orange ones that seemed to be yin and yang-ing. 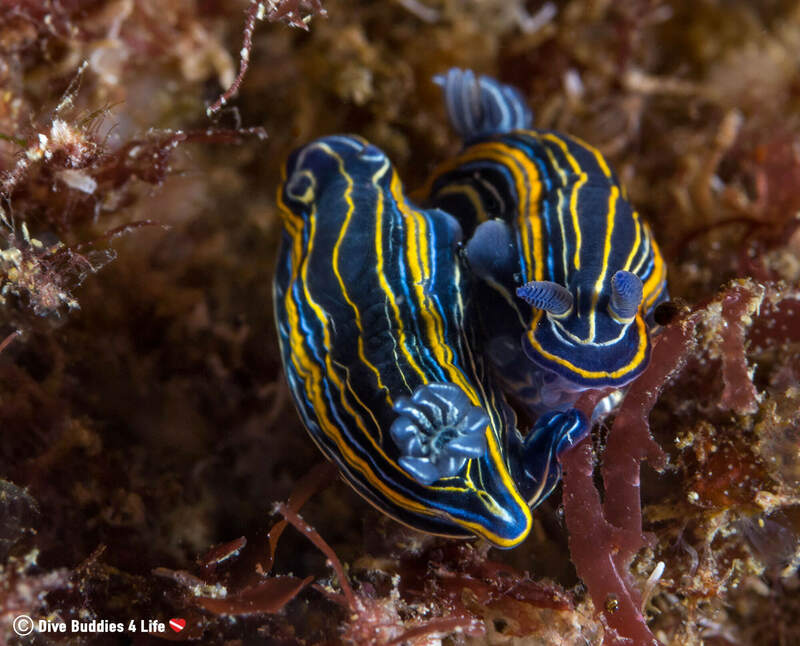 We just seemed to find nudibranch after nudibranch after nudibranch. At one point I gave up counting there were so many of them. The epicness of Berlengas strikes again! As if our last day of diving on Berlengas wasn’t thrilling enough, on our way back to the Peniche harbor we drove into a HUGE aggregation of Henslow’s swimming crab (Polybius henslowii). I’m not even kidding when I say that there were thousands. What a sighting! I entirely lost myself in the moment, watching mesmerized as this cloud of legs and claws filled the water. Sometimes nature never ceases to amaze me. Interesting fact: Henslow’s swimming crab are competent swimmers with back legs which are modified into flattened like appendages for swimming in the open ocean. Often they are found in big swarms near the ocean’s surface feeding on fish, squid and other invertebrates including crabs of the same species. 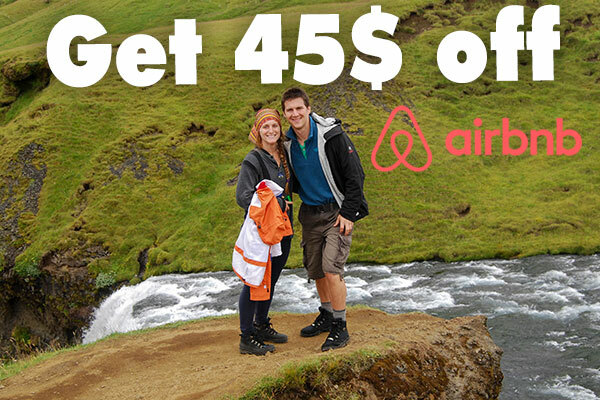 Need a break from the underwater world or not scuba certified? Berlengas biggest island, Berlenga Grande, is a neat spot to visit and the perfect place to spend your time between dives. The island is an ideal place for bird watching and hiking. There are walking paths that flow all over the island making it easily accessible on foot. There is also São João Baptista, a military fort dating back to 1502. The fort was built by King Manuel of Portugal from the remains of a pre-existing abandoned monastery. The fort is connected to the island by a small bridge. 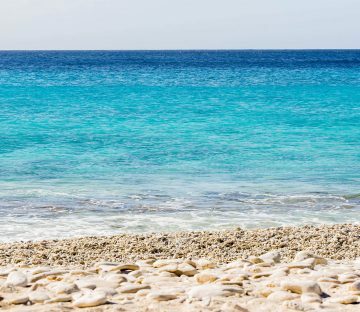 While strolling along Peniches golden, wave-swept beaches and wandering among the sand dunes is thrilling, for divers it’s what lays offshore that makes this spot so amazing. Peniche may not be a coral reef dream destination, but don’t be fooled there is still lots of fun and excitement to be had beneath the blue Atlantic waves. If I got asked where to dive on mainland Portugal – it’s a no-brainer my answer is without question Peniche. Crystal clear ocean and the convergence of two big bodies of water mean that visibility and animal life is more than diverse, it’s stupendous. 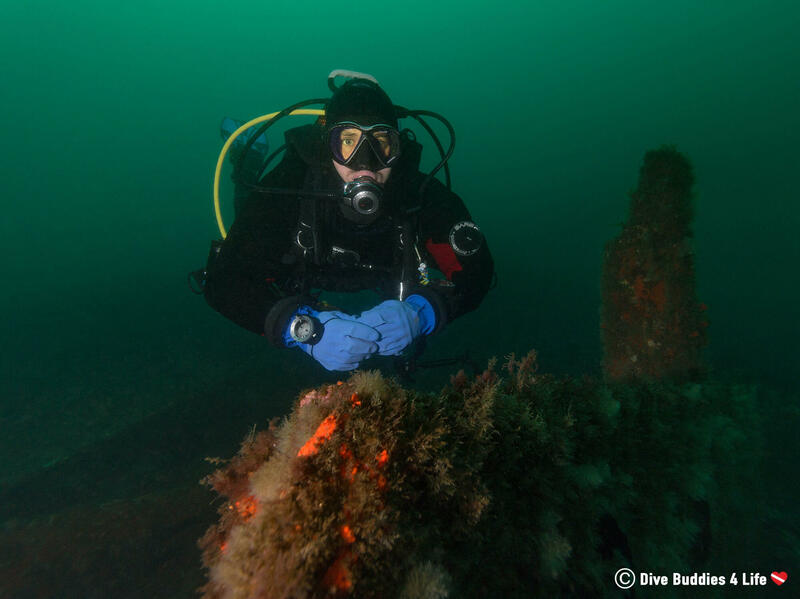 Anyone who has dove this spot will attest, it is some of the most rewarding mainland diving in the country. Diving from Peniche is very reasonably priced. For a double dive trip, the price is 75€ which includes two dives, tanks, weights, a boat trip, insurance, and lunch. If you need to rent equipment, expect to pay no more than 20-25€ for a basic equipment package (mask, fins, hood, gloves, wetsuit, BCD, regulators). Non-scuba certified individuals can indulge in a Berlengas Try Dive for 110€. 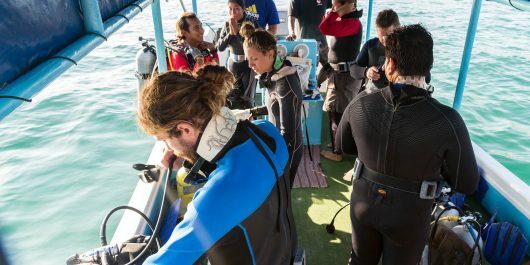 This Try Dive includes two dives, equipment, light lunch, boat trip, and a certificate. Diving in Peniche is available all year-round. The climate is mild with an average air temperature in the summer of around 28°C and the winter 11°C. 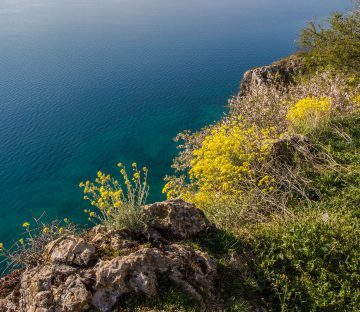 The water temperature fluctuates even less resting around 21°C in the summer and 16°C in the winter. Generally, visibility is between 3-8 meters/10-26 feet and tends to be better in the winter months. In June and July dolphins and dwarf whales can be seen around Peniche and Berlengas, and in the late summer, there are hundreds of sunfish (Mola mola) that frequent the area. There is scuba diving to be had in Peniche for all certification levels. The primary requirement is that you present your certification card upon check-in at the shop. 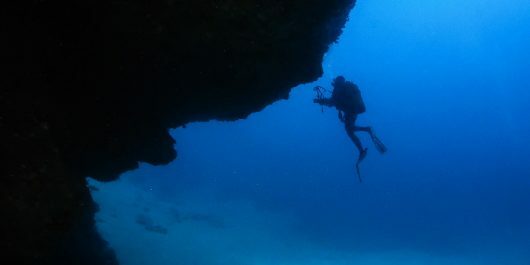 Some shops may ask that you purchase additional insurance, but most include the dive insurance with the activity price. 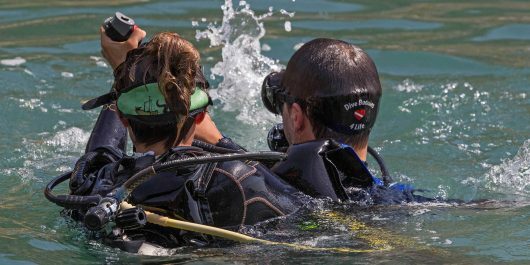 Becoming a PADI Rescue Diver is a great way to further your knowledge and give yourself the tools to stay safe on a dive. 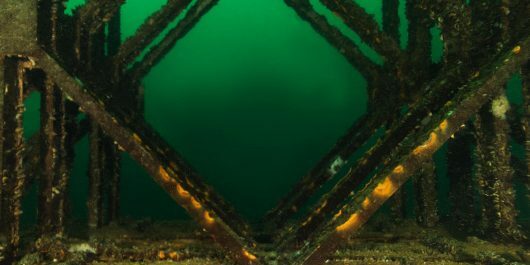 From planes to cars, diving Vobster Quay means experiencing a range of underwater sights and covering a lot of ground in little time. The day is over and the sun is setting on a day of scuba diving but is it really time to hang up your fins, or do you dare slip back into the water at night? Green initiatives are important and in Zihuatanejo, we had the opportunity to join forces with Zihro Plastic and Dive Zihuatanejo to lending a helping fin. 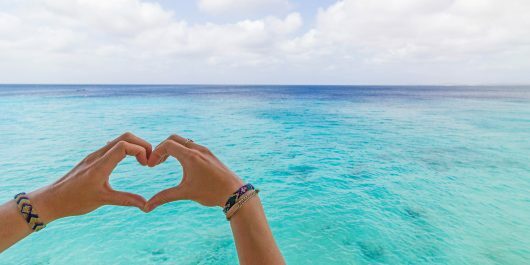 Whether your diving with turtles or admiring coral reefs, get ready to be wowed by the underwater beauty of Bonaire, the shore diving capital of the Caribbean. For fresh bubbles, magnificent viz and spectacular wildlife encounters, now is the perfect time to explore the volcanic island of Lanzarote. 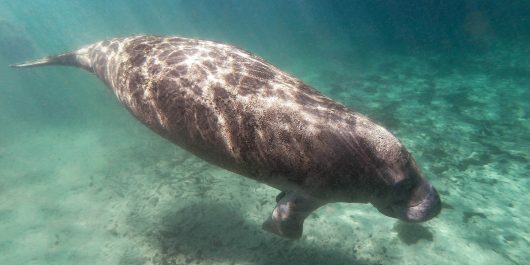 Offering topside beauty and underwater magic, escape to Florida's freshwater springs and snorkel with one of the most majestic marine mammals on the planet. 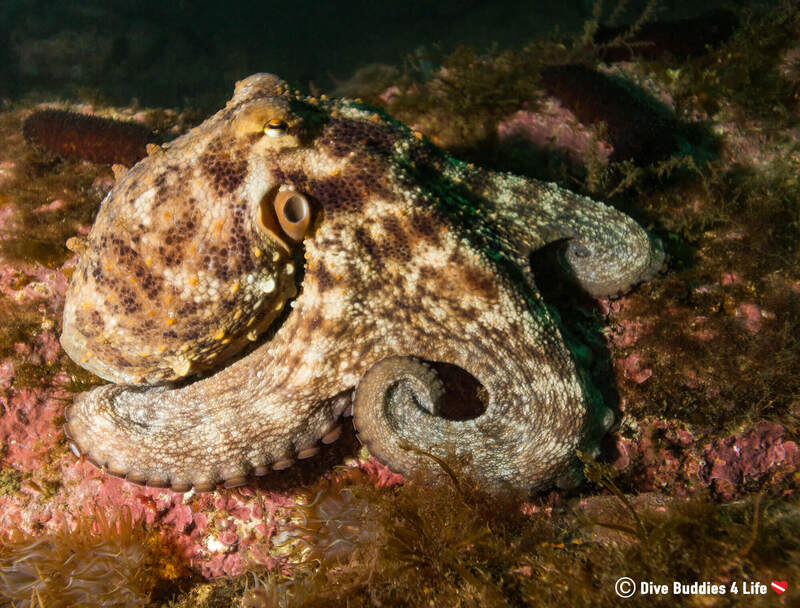 If marine animals could talk here's what they would say to scuba divers this Valentine’s Day. 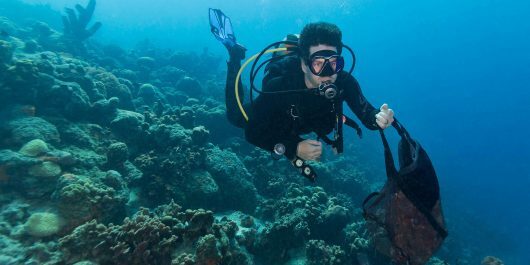 There are many ways to fight back against pollution and on Bonaire, this takes the form of scuba diving cleanups. Hair vs scuba, now that's a combination that doesn't mix. So how do you stay away from the tares, tangles and hours upon hours of post dive hair brushing? 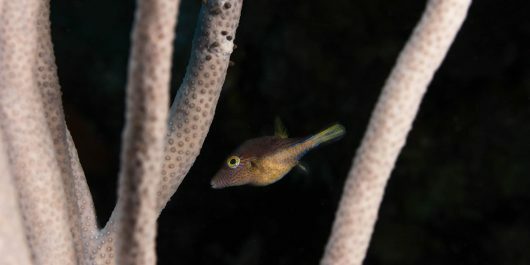 Scuba Diving is a great sport and I love the cute fishes in the photos.